Thanks to the double layer, you can directly take the drink in your hands without burning yourself. The temperature is conserved thanks to the lateral cavities. 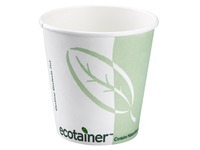 Cups delivered in 4 mixed colors: beige, pink, orange and greeN Can be used for beverages up to 95°C. 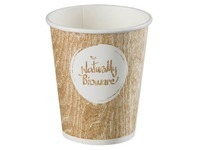 Optional: plastic lids to close the cup when you are walking.